Parallel structure is when you balance the grammatical structures of words, clauses, sentences, or phrases in your writing. They are important for any kind of writing and speaking in order to maintain coherency. In this particular lesson we'll look at parallel words and phrases. We make words or phrases parallel when we are writing things in a list or series, and each word must have the same grammatical form. For words, nouns are balanced with nouns, adjectives with adjectives, verbs with verbs, gerunds with gerunds, and so on. For phrases, prepositional phrases are balanced with prepositional phrases, infinitive phrases with infinitive phrases, and gerund phrases with gerund phrases. The coordinating conjunction ‘and’ is usually used to connect the parallel items, but other coordinating conjunctions such as ‘or’ and ‘nor’ may be used. Correlative conjunctions such as 'both/and', 'neither/nor' and 'whether/or' are also used as connectors. The first sentence is wrong because the first item in the list, to go, is an infinitive, but the second item, studying, is a gerund. In order to correct it, studying has been changed to an infinitive. The first sentence is incorrect as the last item in the series, persuasive, is an adjective, whereas the first two items are adverbs. The second sentence has been corrected by changing persuasive to the adverb, persuasively. The first sentence is incorrect, since the first two items in the series, comfortable and airy, are adjectives, whereas the last item, it was not dirty, contains a verb. The second sentence has been corrected by changing it was not dirty to the adjective clean. The first sentence is wrong because an infinitive and gerund phrase have been mixed together. The second is correct because they are both infinitive phrases. The first sentence is not parallel since the first word, the rock, does not have a preposition, but the next two words in the list have. It can be corrected by placing the correct preposition, over, before climbed. Now practice what you have learned in this parallel structure quiz. 1.The scenery was spectacular, exciting, and looked beautiful. 2. They studied quickly, quietly, and carefully. 3. 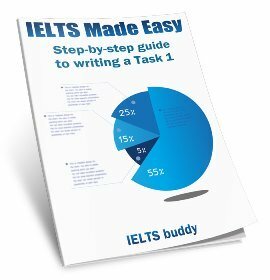 To get the score you want in IELTS quickly you must both learn fast and work hard. 4. I like neither to wash up dishes nor mopping the floor. 5. She walked out of the changing rooms, climbed onto the diving board, and into the swimming pool. 6. He cleaned under the sink and behind the cooker. 7. I'll return in June, July or in August. 8. I usually spend my evenings watching TV and surfing the internet. 9. The manager did not like one of his employees because he always arrived late for work, made mistakes in his duties, completed projects carelessly, and his motivation was low. 10. It was both a long meeting and very boring. 11. You must either arrive on time or not come at all. 12. For him, success is defined not by wealth but by how happy you are. 13. The salad was fresh, crisp, and tasted delicious. 14. He was not sure whether to move to Australia or stay in Japan. 15. The quarter finals involves the English, the Spanish, French, and Germans. Click the link below to see a full text of the parallel structure exercise answers. The scenery was spectacular, exciting, and beautiful. The manager did not like one of his employees because he always arrived late for work, made mistakes in his duties, completed projects carelessly, and lacked motivation. For him, success is defined not by wealth but by happiness.